Discover what ancient secrets lie hidden in the Caribbean Sea. The Caribbean Sea is full of buried treasures beyond our wildest dreams. Even today they await discovery by any adventurers brave enough to look. Now you have the chance to team up with pirates and set out on an amazing journey to become one yourself. 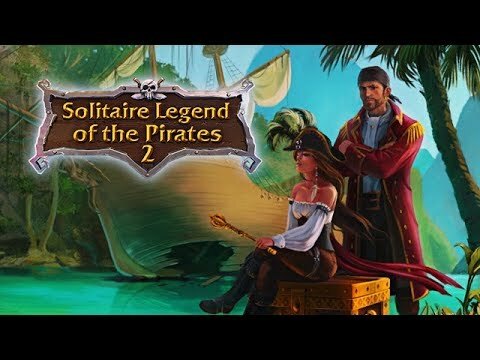 Discover what ancient secrets lie hidden in the sand in Solitaire Legend of the Pirates 2. Featuring vivid graphics and a pirate soundtrack, original themed decks and 15 awesome pirate trophies, your solitaire journey begins.